This Food State supplement contains all of the essential B vitamins and also includes several non-B vitamins, specifically vitamin C and magnesium. Vitamin C is included in the this formula because it prevents the oxidation of vitamins B1, B2 and B5. Magnesium is present as it works with B Vitamins to support the nervous system. are suitable for vegetarians and vegans. 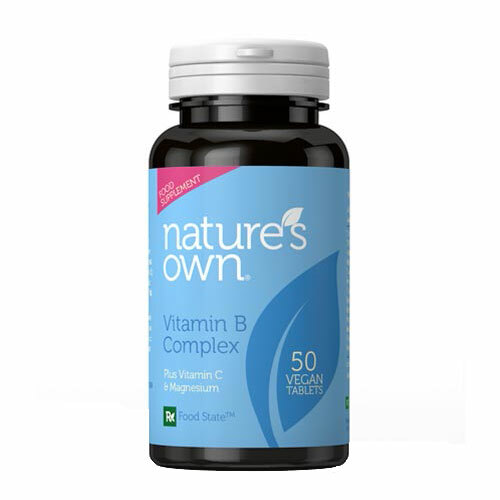 Below are reviews of Natures Own Food State Vitamin B Complex - 50 Tablets by bodykind customers. If you have tried this product we'd love to hear what you think so please leave a review. 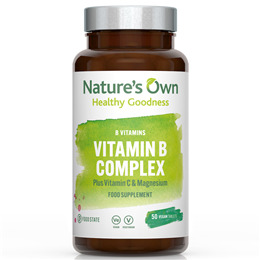 This Food State supplement contains all of the essential B vitamins and also includes several non-B vitamins, specifically vitamin C and magnesium.